Cape Cod's BEST Party idea! 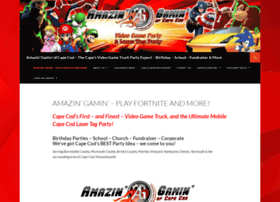 Amazin' Gamin' brings our luxury limo-like video game truck & trailer right to you! 7 HUGE TV's and the best games!